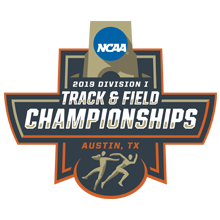 NCAA Division I Outdoor Track & Field Championships tickets, hospitality & travel packages on sale with PRIMESPORT, the Official Ticket & Hospitality Provider of the NCAA. Be there live in Austin, Texas to see the individual and team champions crowned! Already have your event tickets? Give us a call and we can enhance your experience with access to the Official Hospitality! The Official NCAA Experience features an offering of food & beverage, an opportunity to take a photo with the National Championship trophy and much more! SEE FULL DETAILS > The Official NCAA Experience features an offering of food & beverage, an opportunity to take a photo with the National Championship trophy and much more! PRIMESPORT is the Official Ticket & Hospitality Provider of the NCAA. Purchase your package today and be there live for the 2019 NCAA Division I Outdoor Track & Field Championships. The NCAA Division I Men's Outdoor Track & Field Championships date back to 1921 when Illinois won the inaugural event in Chicago. Since then, USC has had the most success with 26 overall team championships and over 100 individual titles. In recent years, Florida has been the dominate team with team championships in 2012, 2013, 2016 and 2017. The NCAA Division I Women's Outdoor Track & Field Championships began in 1982 with UCLA taking home the first two team titles. From 1987 through 1997, LSU recorded 11 consecutive team championships. Over the last six years however, the field has been wide open with five different team champions, including LSU, Kansas, Texas A&M, Arkansas and Oregon who has won two team titles in that span.